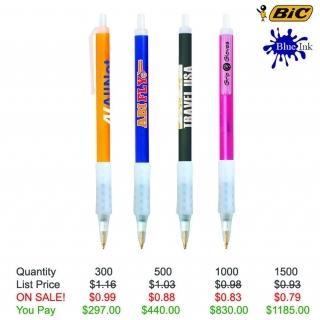 Pack 'em in at your next marketing event with the BIC (R) Clic Stic (R) Ice Grip ballpoint pen! 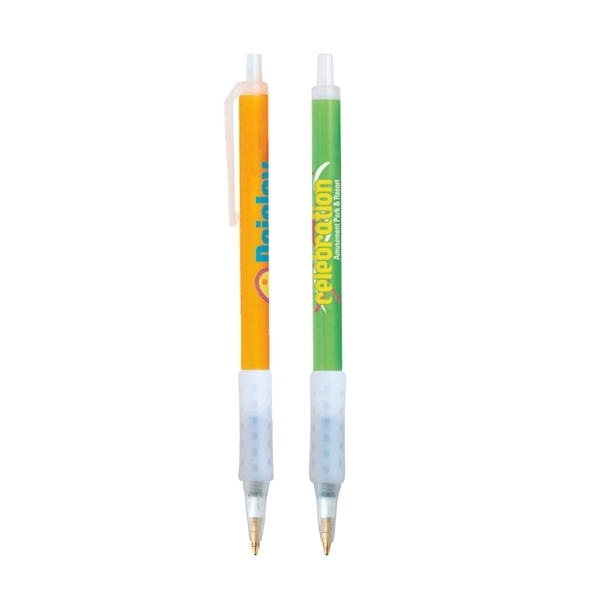 Assembled in the USA, this medium point, retractable pen features a popular frosted ice color barrel, frosted clear trim, a break-resistant pocket clip, and soft dimpled rubber grip. Have your logo silkscreened on this always-in-stock pen and spread your company's message everywhere it's used. 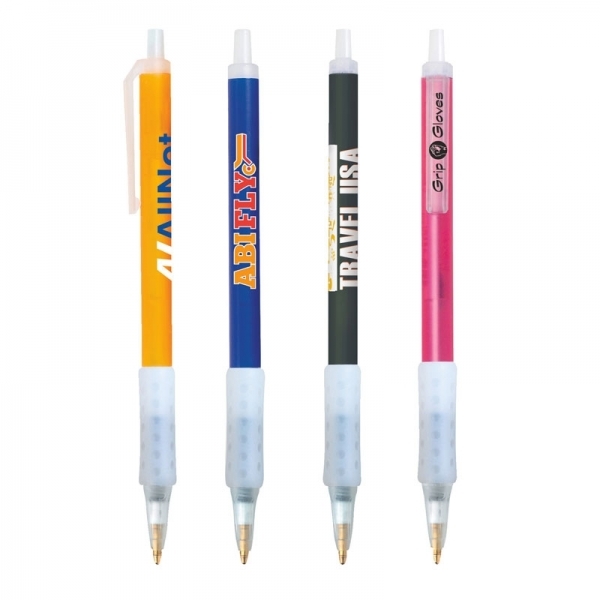 It's perfect for any business, project or venue. Order today!